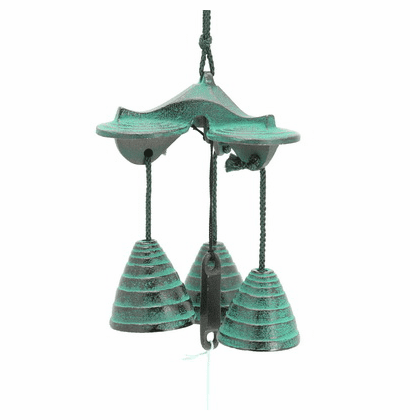 Patina green beehive cast iron windchime. Makes a soft soothing tinkling sound, paper wind catcher included. 3-1/2" x 3-1/2" x 4-1/4"